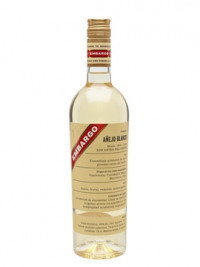 Embargo are a French rum blender from the family that makes top-shelf wine Petrus. This pushes the company's blending skills to the limit, bringing together rums from Trinidad, Cuba and Guatemala, as well as agricole from Martinique. The rum is filtered to remove almost all of its colour, leaving just a pale yellow hue that gives some indication of its buttery, banana-y punchiness.